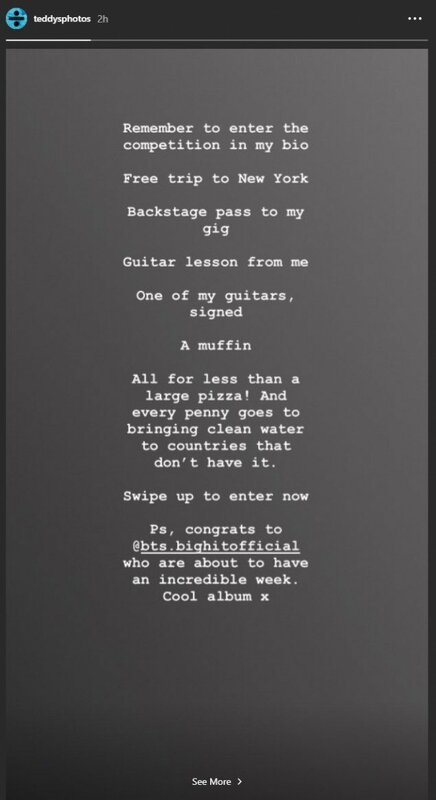 Ed Sheeran gave a special shoutout to BTS. 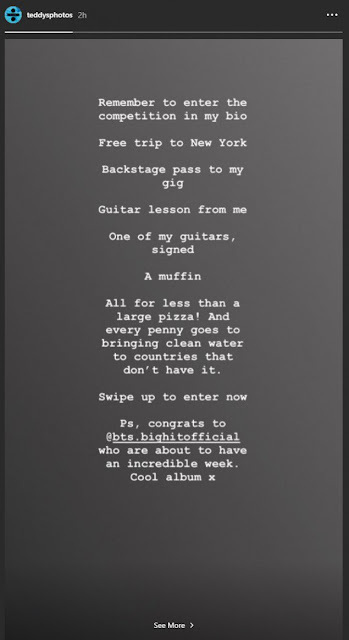 On August 24, Ed Sheeran shared a post on his Instagram story. Following a list of details on his competition event, Ed Sheeran added a PS where he gave recognition to the K-Pop boy group. He tagged @bts.bighitofficial and said, "Congrats to BTS who are about to have an incredible week. Cool album." Earlier on the same day, BTS released their highly anticipated repackaged album 'Love Yourself: Answer' and the MV for "IDOL".